So, are you ready to be the talk of the neighborhood or commerical complex? Contact us for a free lawn analysis. We will visit your property and evaluate the condition of your lawn and fertilizing needs. We will check to see if soil testing is needed, as well as discuss cultural practices—these contribute to your turfs overall health. Our 6-Step Program consists of specifically designed and seasonally scheduled service visits, treatments are applied in a timely manner to maximize success. The above services are available per single applications as well to fit your needs and budget. 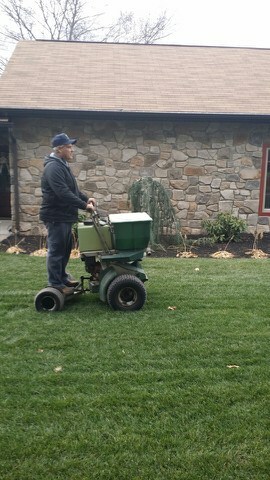 We also apply Crabgrass killer in the fall.